An economics professor at Ohio State banned laptops from his class last semester and the results were very positive, with students’ grades improving significantly, the scholar reports. “Student performance improved, especially on the earliest midterms. Results were significant—average scores were about half a standard deviation higher than previous offerings. This is well above the long run average in both courses— this term was an outlier,” economics Professor Trevon Logan stated on Twitter in May. “The students said the policy (1) encouraged them to focus, (2) helped them take better notes, (3) kept them engaged, and (4) increased their enjoyment of the course. I did not expect this at all,” he added. The debate over banning technology in the classroom is nothing new, especially when it comes to cell phones. But many teachers who forbid cell phones allow laptops for note taking. Now more scholars question whether that’s a good idea. Logan did not respond to requests for comment from The College Fix, but on Twitter he said he was inspired to give the ban a go after reading a Nov. 2017 op-ed in the New York Times by Susan Dynarski, professor of public policy at the University of Michigan. 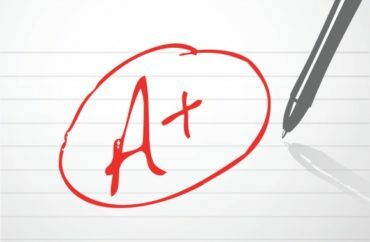 The op-ed followed an Aug. 2017 report she penned for the Brookings Institution, a nonprofit public policy organization, in which she explained why old fashioned note taking helps students earn better grades. “Learning researchers hypothesize that, because students can type faster than they can write, a lecturer’s words flow straight from the students’ ears through their typing fingers, without stopping in the brain for substantive processing. Students writing by hand, by contrast, have to process and condense the material if their pens are to keep up with the lecture,” Dynarski wrote. This Spring semester I was moved by the @nytimes open by @dynarski to enact a technology ban in my courses. No laptops, tablets, phones, nothing. I was curious to see what would happen. Now the results are now in! Another professor who bans laptops is Dartmouth University’s Daniel Rockmore. He’s a professor of math — and computer science — but spelled out his logic on the matter in a June 2014 piece for the New Yorker. Some professors, meanwhile, don’t outright ban laptops, but discourage their use. 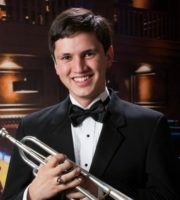 Max Winters is a senior studying music at San Francisco State University. He plays three instruments and is an amateur composer. In addition to contributing to The College Fix he writes for Rosuer News and his personal blog, The Young Gentleman’s Guide.